Vegan diets are becoming more popular worldwide. Yet there is still some confusion as to what the difference is between a vegan and a vegetarian. Many vegans often hear well-meaning relatives or friends refer to them as vegetarian even if they have told them they are vegan. Often restaurants will indicate themselves as vegetarian-friendly or indicate vegan items as vegetarian, adding to the confusion. For those who are left wondering, “what is the difference between vegan and vegetarian?” we’ve compiled an everything-you-need-to-know comparison to help you understand the differences. We answer questions such as how different are vegans and vegetarians? Does it really matter to differentiate between vegan and vegetarian? This definition is clear in what a vegetarian eats but excludes the main thing vegetarians avoid, which is meat. Vegetarians vary greatly in what they eat from one person to another. But the following breaks down what all vegetarians exclude from their diet versus what only some exclude from their diet. 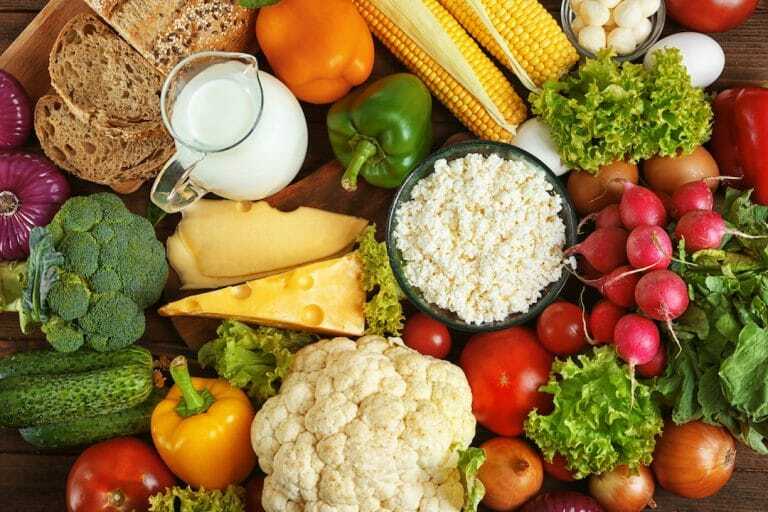 What all vegetarians exclude from their diet: All vegetarians exclude meat including beef, pork, chicken, and fish as well as other less common fare like rabbit and deer. What some vegetarians exclude from their diet: Some vegetarians choose to avoid all dairy products. Some vegetarians exclude eggs. While some vegetarians exclude cow dairy and eggs but still eat goat dairy. 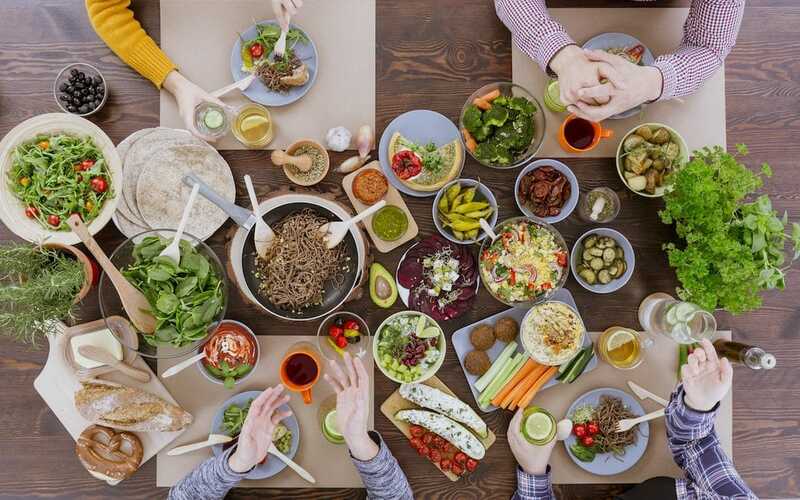 The following terminology and definitions help to inform about the difference in vegetarians and what they choose to include or exclude in their diets. Lacto Vegetarian: A vegetarian who consumes dairy but does not include eggs in their diet. Lacto-Ovo Vegetarian: A vegetarian who consumes both dairy and eggs. Now that we have a clear explanation of what a vegetarian is and the different kinds of vegetarians, we can explore why people choose to be vegetarian and not vegan. Why do people choose to be vegetarian? People have a variety of reasons for selecting a vegetarian diet. People choose vegetarian diets for religious reasons, for health reasons, due to environmental concern and for animal rights reasons. Why choose a vegetarian diet instead of vegan diet? People have a variety of reasons for choosing to eat a vegetarian diet instead of a vegan diet. Probably the most common reply is that it is easier than a vegan diet. A vegetarian diet does not rely on planning as much as a vegan diet. It can be easier to eat out as well as dine at other people’s homes. A vegetarian diet is generally better known than a vegan diet. And some people don’t realize the extent it is possible to shift their diet. Some people choose to eat a vegetarian diet because they believe it is healthier than a vegan diet. 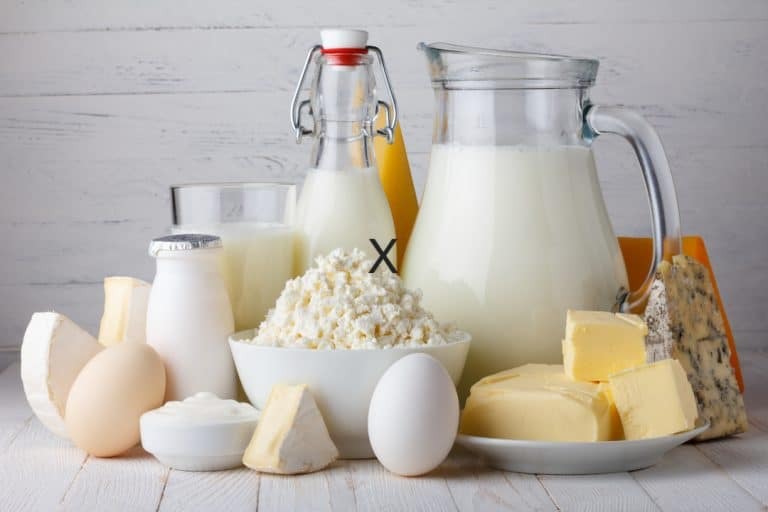 Many people choose a vegetarian diet instead of a vegan diet because they don’t want to give up cheese, or their favorite desserts or poached eggs. Some people choose to eat a vegetarian diet as a first step towards veganism. This definition is clear on veganism as lifestyle. It doesn’t specifically include the foods vegans do not eat. So below we’ve broken down exactly what vegans eschew from their diet. 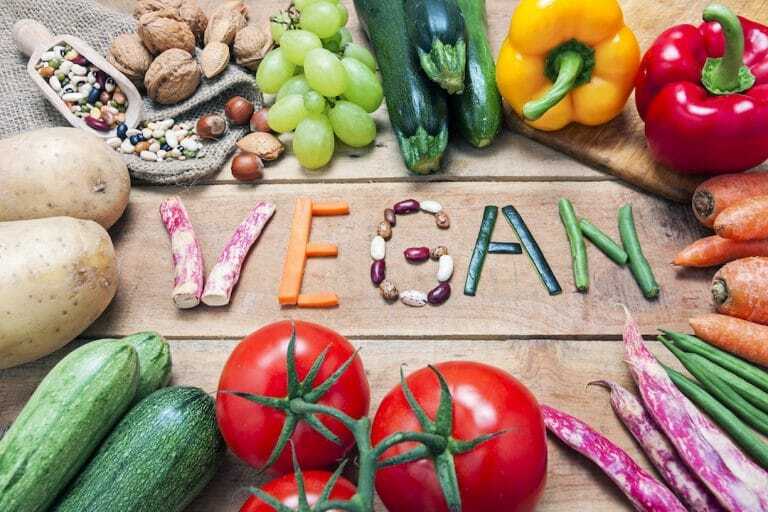 What all vegans exclude from their diet: All vegans choose to exclude meat or products made from animal flesh or bone from all animals including fish. All vegans choose to exclude all dairy products or lactation from all non-human animals. All vegans choose to exclude eggs from any animal. What some vegans exclude from their diet: Many vegans do not consider bee products to be vegan, but some do. Some vegans do not include honey, bee pollen, bee propolis, or royal jelly in their diet. Now that we have a clear explanation of what a vegan is we can explore why people choose to be vegan and why they choose that over vegetarianism. Why do people choose to be vegan? Just as vegetarians, people choose to be vegan for a variety of reasons. Many vegans cite health as a top reason to go vegan. Another reason many people choose to go vegan is for animal rights. Hand in hand with animal rights is environmental concerns of an animal-based diet. People may also choose a vegan diet for spiritual or religious reasons. Why choose a vegan diet instead of a vegetarian diet? Many people choose a vegan diet because when properly planned it offers the greatest health benefits and least health risks of any diet. Another reason people choose veganism over vegetarianism is that it causes the least amount of animal harm and suffering. A vegan diet is also considered to be the best choice to help the environment and reduce pollution. What’s the Difference Between Vegan and Vegetarian Diets? Now that we have outlined what a vegetarian diet and philosophy looks like as well as a vegan diet and philosophy, we can compare the two side by side to see the difference. The main difference we will look at is diet, but we also acknowledge another factor that separates the two. Vegetarians include more animal foods in their diet while vegans exclude all animal foods from their diet. The reasons for including less animal foods in one’s diet tend to be due to animal rights. Many vegans practice veganism because they want to completely reduce their contribution to animal suffering. This means eliminating dairy and eggs, which despite common belief, greatly contribute to death and suffering. This overall idea of reducing animal suffering contributes to other choices vegans make, like not wearing leather, fur, feathers, etc. Veganism is not just a diet but a lifestyle, which makes it very distinctly different from a vegetarian diet. Does it really matter to differentiate between vegetarian and vegan? In one word, yes. There are a few reasons it matters to differentiate between vegetarian and vegan. When dining out, it’s important to differentiate between the two so that people can easily identify what foods they would like to eat and can eat due to their dietary preferences. In a much larger sense, it’s important to differentiate between the two diets so that people are aware that veganism exists. Differentiating between the two diets allows people to understand there is another perspective and other ways to eat that have different implications on our health, our planet and animals. Is one diet better than the other? Any step to reduce animal suffering, save the environment and ensure a healthier life is always admirable and important. Both diets offer a variety of benefits for people and extend those benefits to other life on this planet. A vegetarian diet is not just a stepping stone to veganism. A vegetarian diet can certainly be easier to follow depending on preferences and lifestyle. That’s why it can be more realistic for some people. However, a vegan diet and lifestyle does offer markedly greater benefits overall. Whole foods, well planned vegan diets offer the greatest health benefits. A vegan lifestyle offers much greater protection to our planet. This lifestyle does this by not supporting any factory farms and the runoff they produce, the overall air pollution they produce as well as carbon emissions. A vegan lifestyle is most beneficial for all other life on the earth. This is especially for the animals that are raised to be eaten or have their milk or eggs consumed. A vegan lifestyle bypasses the cruelty of the dairy industry that continuously impregnates cows only to take their babies away right after birth. Some of these babies are killed and consumed as veal. A vegan lifestyle also bypasses the cruel egg-laying hens face, from having part of their beak cut off to being stuck in a cage their entire lives. Male chicks are considered relatively worthless and can be ground up alive. These horrors that are not often associated with a vegetarian diet need to be addressed. And people should have all the information about their food before making a choice. If you’re choosing to be vegetarian to reduce animal suffering, don’t you want to know about all the consequences of the food you eat? A vegan lifestyle clearly offers more health benefits, environmental benefits and reduces animal death and suffering. A vegetarian diet is a great step in the right direction and commendable. However, it is worth considering pushing yourself a little further, educating yourself on the impact all of your food has on the planet and deciding if you are okay with that. All of the choices we make have the potential to save lives and elevate our health. So it’s worthwhile to consider your diet and its impact.